After owning apartments for almost 30 years we feel that communication is key in having things run smoothly and profitable. The Thomas Realtors team has always communicated with us, our tenants and any contractors we may need in a very professional way. If one of our tenants calls with a problem it is solved whether it is a repair needed or just a question answered. We have in the past and will in the future pass along Thomas Realtors to anyone who could use their services. When renting property, knowledge is crucial. 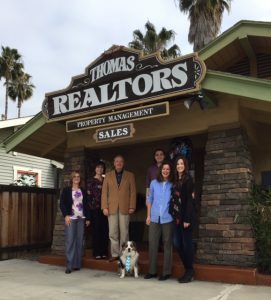 Thomas Realtors provides the expertise you need to walk through the process and ask the questions that can save you time, money, and trouble. Call Thomas Realtors at 619.296.6343 today or fill out our contact form.